When you crave for an element of life and motion in your garden, outdoor fountains serve the purpose well. They bring a mesmerising effect among the greenery. You need to choose the fountains from various outdoor fountain ideas available to you and make sure that it is compatible with the other elements of the garden. Apart from the natural beauty of these fountains, Outdoor Water Feature and lights add an extra dimension of charm to your garden. 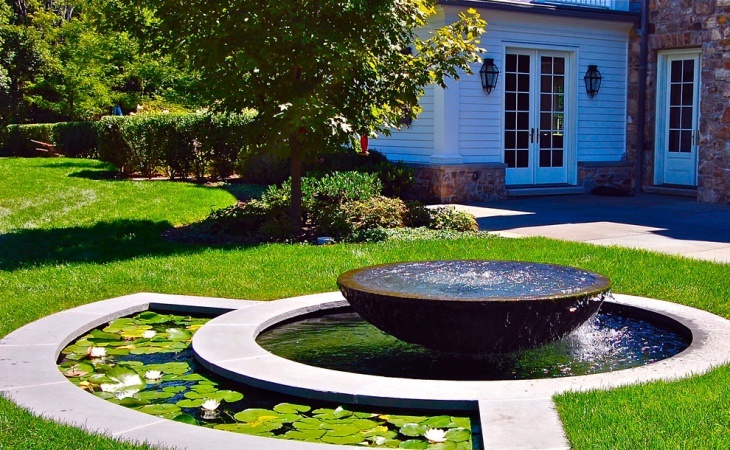 Here are ten sophisticated outdoor fountain design ideas for you. 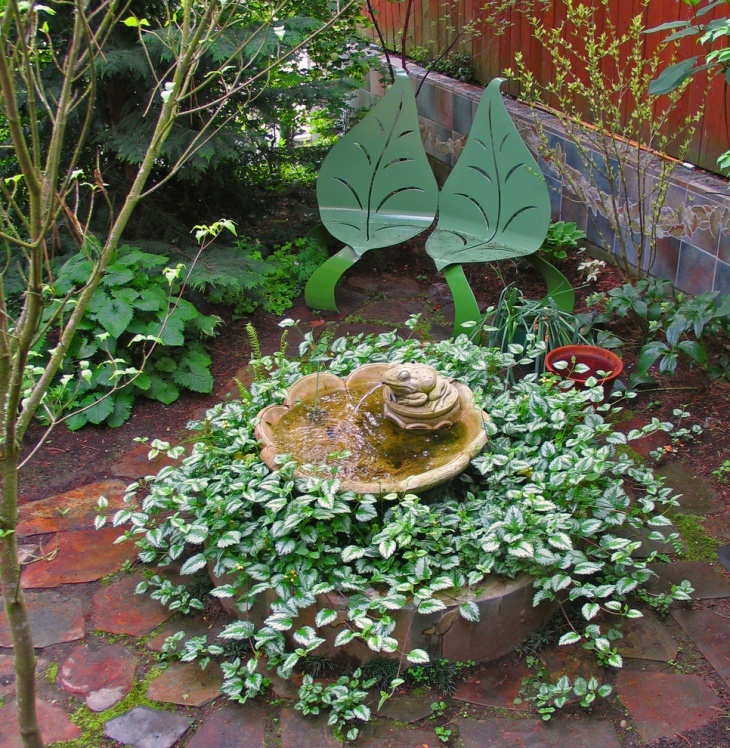 You may like a small fountain in the corner of your garden or terrace. 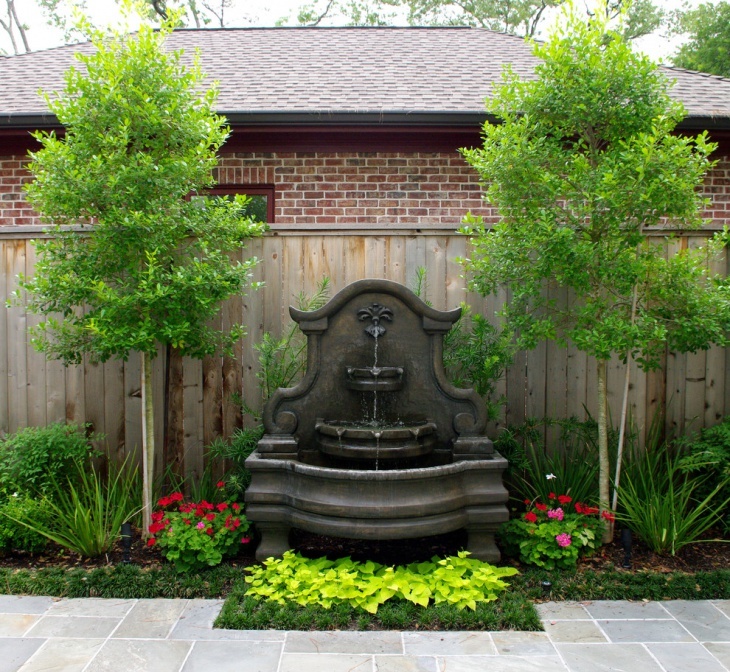 This is the ideal fountain to be placed under the shade of trees. Choose a small wooded area with climbers and dark green vegetation, and this fountain will also serve as an art metal decorative sculpture in your garden. 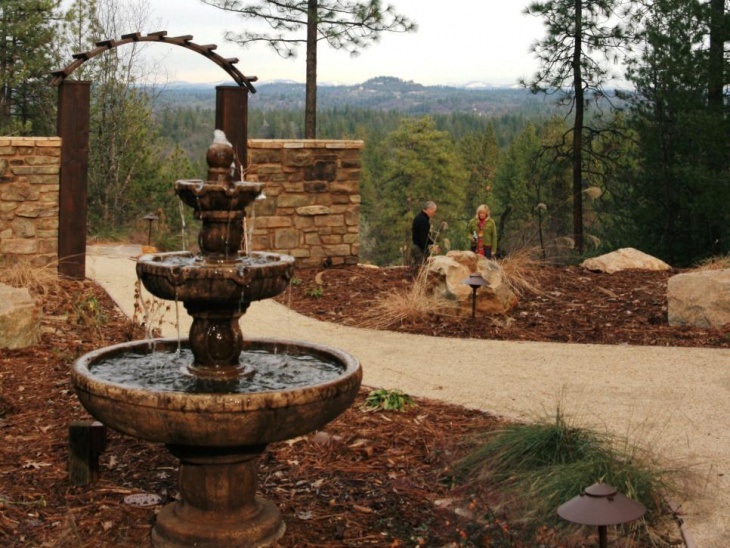 When you opt for dry creek bed landscaping for your garden, this is the ideal fountain you can opt for. This is a rock water outdoor fountain that is made compatible with a pergola. 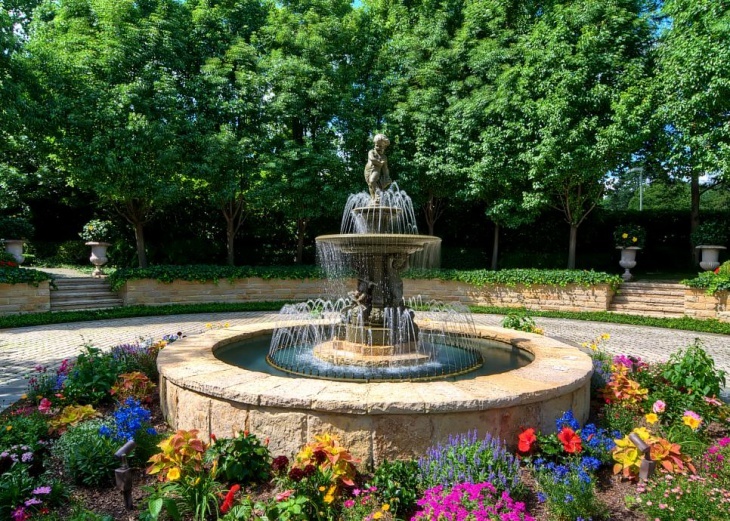 There are stones around the fountain, and you will enjoy a beautiful scene sitting in the pergola. 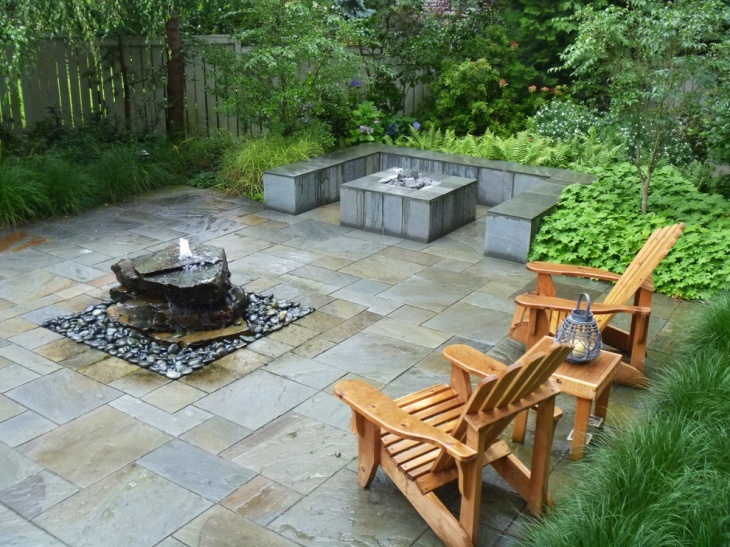 When you have a stone fire pit in a well-paved outdoor sitting area, you may find this type of fountain ideal for you. It is customised for a wood patio and looks great with green patches along the borders. The river rock flower beds go well with this type of fountains. 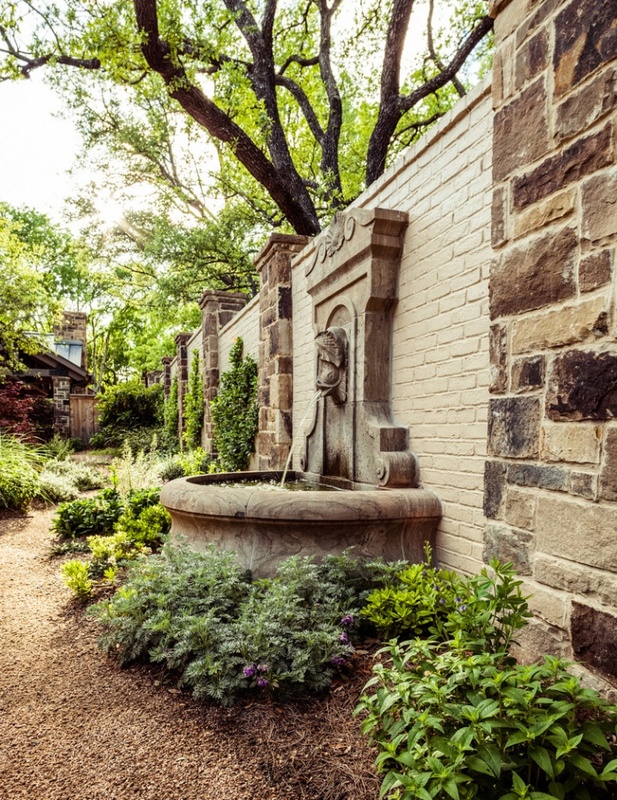 Wall fountains carry a great architectural value. 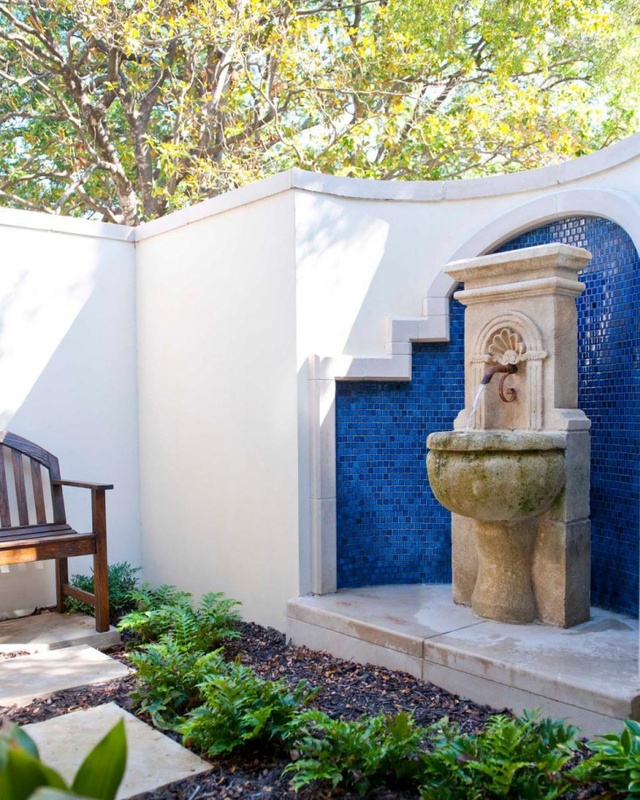 The fountains are designed to suit the royal look of the walls with a lion head on the wall. The stone and brick combination is ideal for the fountain and the brick water feature of the fountain looks great. 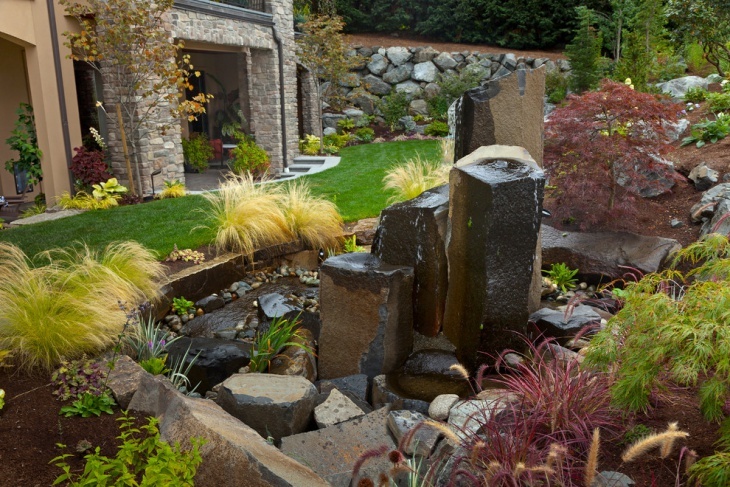 If you look out for a rustic exterior, you can incorporate the rock fountain design in your garden. 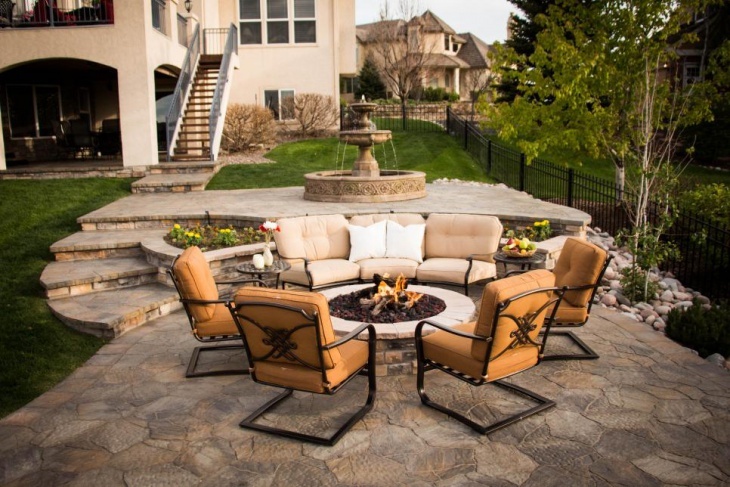 Opt for darker shades of black for the rocks, and this will go well with the boulder landscape. With an undulating landscape around, you can plant some bright green tall grasses around to enjoy a compatible look. 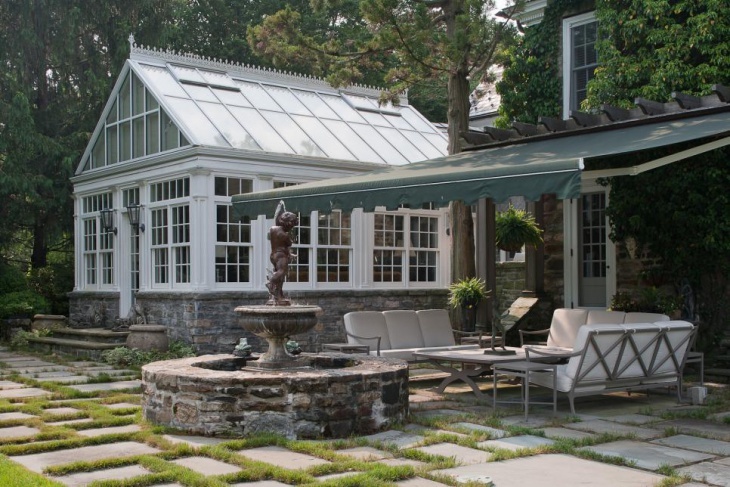 For villas, cottages and bungalows, an open outdoor space is a must. 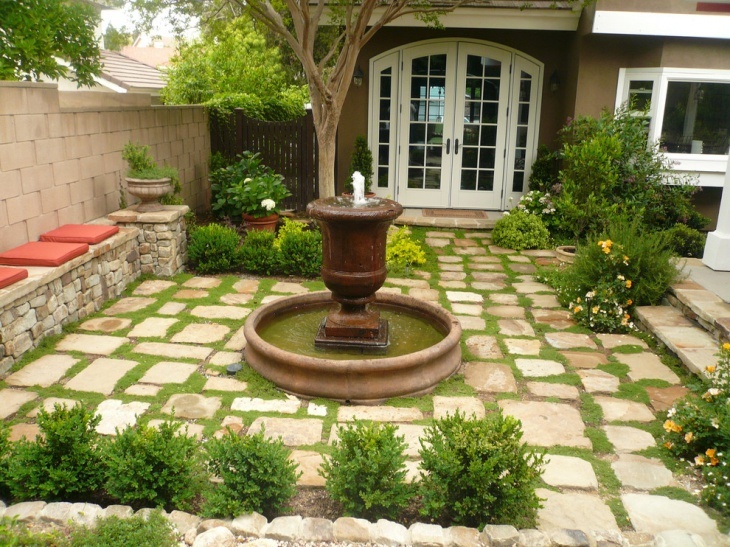 Here, you can opt for a large pond fountain so that it goes well with the greenery of the lawn. The floating leaves in the water look beautiful and it looks like a vase fountain amid the natural settings. 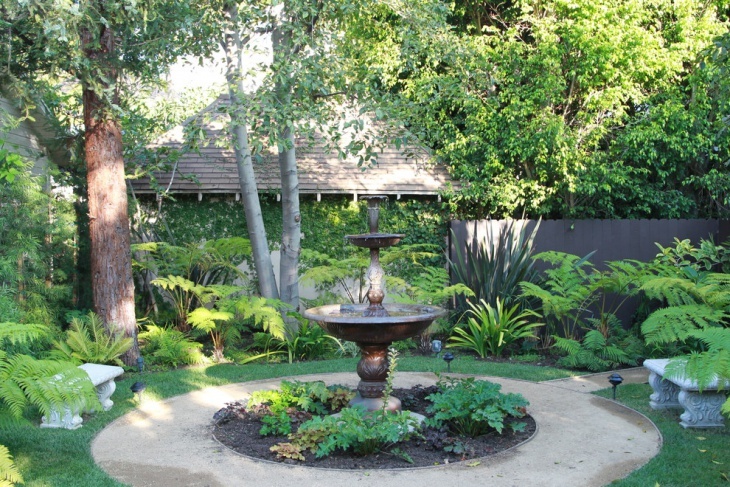 This is a beautiful private garden with water fountain. 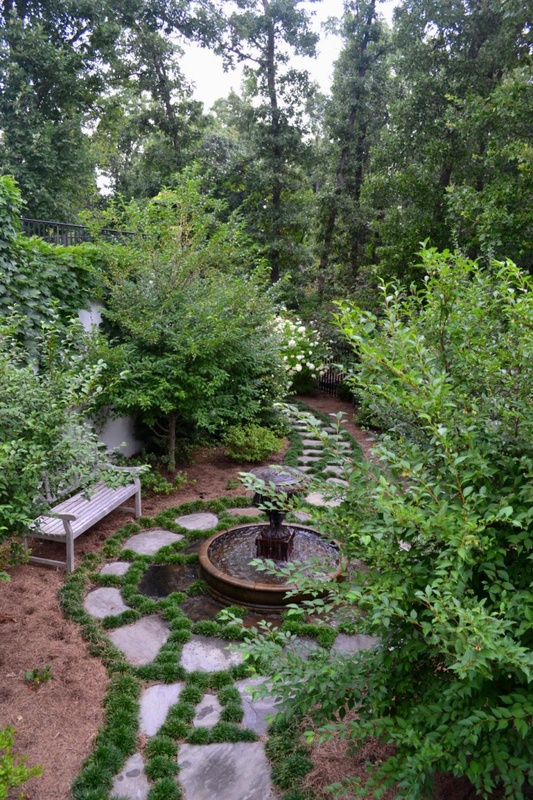 If you want a clear pool of fountain water in the midst of greenery, the best option is to opt for this particular garden design. The slate exterior is ideal for this setting and you will definitely find this free-standing fountain sophisticated. When you try to customise a fountain for your brick patio, get in touch with this particular fountain. There are fireplaces around the area and you will find this fountain compatible with the tile cabinet. You can enjoy watching television in the gorgeous area. 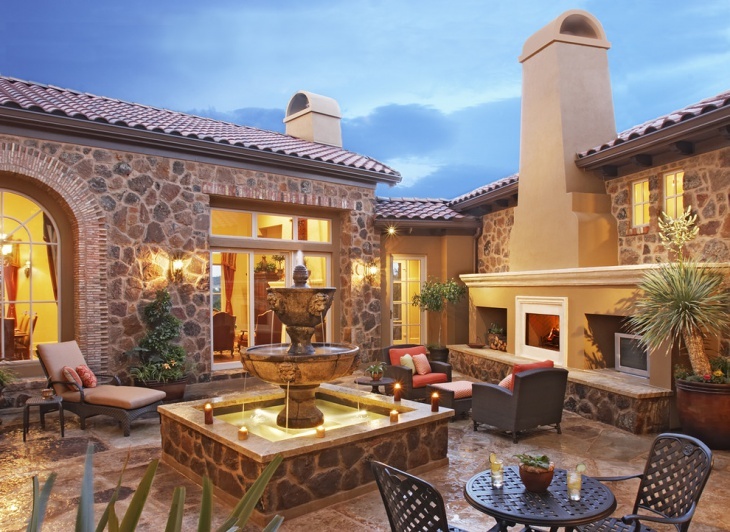 If there is a tiled area around the pool, you would prefer to have an outdoor patio fountain design. The wood range hood of the covered area is perfectly compatible to the beautiful fountain, and the black colour of the fountain goes well with stone exterior. 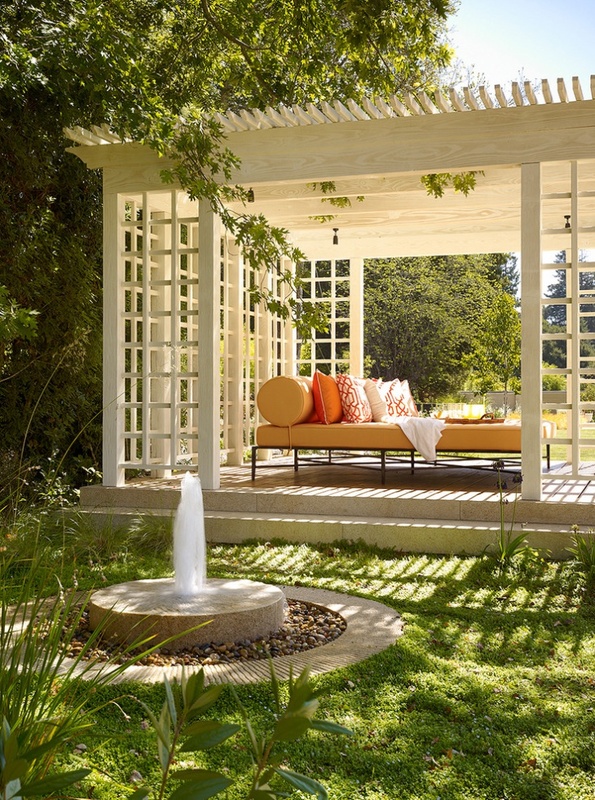 When you crave for beautiful outdoor fountain ideas, you need to consider the available space, nature of the house and your own taste. You can incorporate Fountain Light ideas in these setting to create a compelling look. If you come up with something innovative, feel free to share them with us.